From professionals for professionals – You are a wine professional and know the best premium wines? We bring them to you. For wine professionals, we are the professional partner – with a uniquely large portfolio, personal consulting and superfast delivery times. 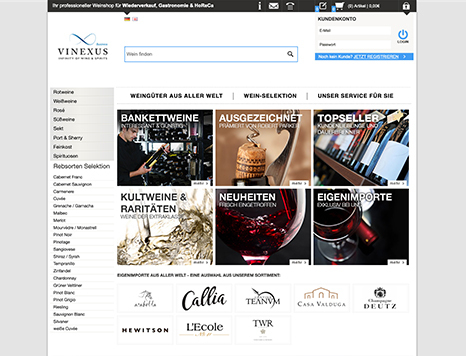 With our fields of expertise and skills combined, you have an all-round professional wine business in just one online plattform: Vinexus Business! Come and visit us on Vinexus Business.